Here you can listen to samples from John's CD's. If you like what you hear, you can purchase the whole CD by clicking the "Add to Cart" button benieth the CD cover, either here or in the store, or if you would rather buy songs individually, click on the iTunes link to the right of the song title where available. 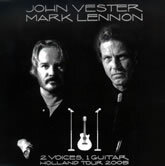 John Vester's 4th solo CD is now available for $15 plus $3.50 shipping cost. Click the 'Add to cart' button below to order. The JVML Live Holland Tour Concert DVD/CD is available for $20.00 plus $3.50 shipping costs ($23.50). Click the 'Add to Cart' button below to order. 2 Voices, 1 Guitar - Holland Tour Promo CD - SOLD OUT! The JVML Live Holland Tour Concert CD is available for $10.00 plus $3.50 shipping costs ($13.50). Click the 'Add to Cart' button below to order. John Vester's 3rd CD is available for $ 15.00 plus $3.50 shipping costs. Click the 'Add to cart' button below to order. 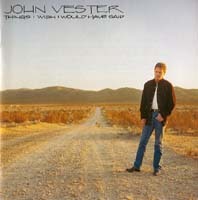 John Vester's second CD is available for $ 15.00 plus $3.50 shipping costs. Click the 'Add to cart' button below to order. 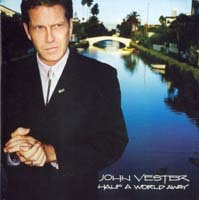 John Vester's first CD is available for $ 15.00 plus $ 3.50 shipping costs. Click the 'Add to cart' button below to order.